Last week, President Barack Obama proposed a plan to develop a rating system of colleges to help lower costs for students. 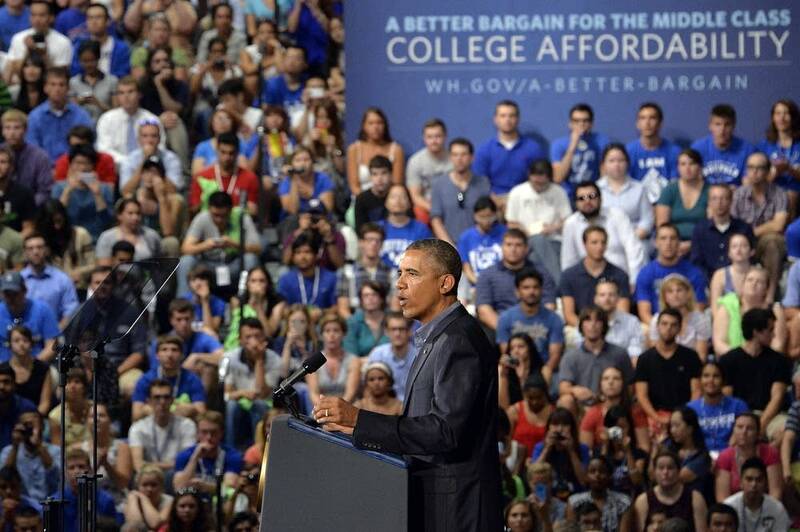 The system would rate schools based on "metrics like how much debt does the average student leave with, how easy is it to pay off, how many students graduate on time, how well do those graduates do in the workforce,'' Obama said to a crowd at the University at Buffalo Aug 22. "The answers will help parents and students figure out how much value a college truly offers." After this ratings system is well established, Congress can tie federal student aid to college performance so that students maximize their federal aid at institutions providing the best value. The President's plan will also take down barriers that stand in the way of competition and innovation, particularly in the use of new technology, and shine a light on the most cutting-edge college practices for providing high value at low costs. Supporters of the plan say it would give potential college students and their families more information to help them make decisions and encourage schools to lower their costs for better ratings. "We need much greater transparency for the public. ... We have to get them better information," Secretary of Education Arne Duncan told reporters traveling with the president on Thursday to Buffalo, N.Y., on Air Force One. "You want to see the good actors be rewarded. You want to see them get more resources." While emphasizing that access to college is a good thing, they said, the speech failed to address deeper problems facing higher education — such as lack of funding, skyrocketing tuition and the increasing employment of adjunct faculty — and was too enthusiastic about massive open online courses (MOOCs), whose pedagogical effectiveness remains largely untested. Many faculty advocates said they weren't surprised, however, and said that other choices in Obama's presidency reflected what they saw in his plan for higher education: a patchwork of conservative and liberal policies that fell far short of pleasing everyone — or, depending on one's opinion, anyone.